Today, the thermoplastic membrane TPO or thermoplastic polyolefin has many similarities with EPDM, without its disadvantages. This makes it the perfect choice for commercial roofing in Virginia Beach. GAF, North America’s largest roofing manufacturer, has since developed their TPOs for specific applications. 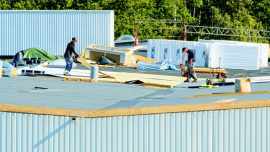 Membranous roofing installations typically have over 10 steps for a full installation. Fortunately, EverGuard only requires three. This saves a lot more time and covers more ground in a day. TPO costs a lot less to produce, without compromising quality and utility. This makes it another important factor for roof replacement in Suffolk, involving a building with a large floor area. GAF’s TPO products all come in reflective white or light colors by default, which allows it to deflect heat from the sun’s rays. 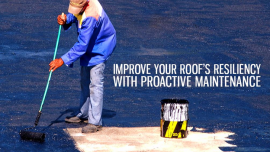 Roof temperature can be as low as 110 degrees. EverGuard TPO can also be manufactured in virtually any color, including ENERGY STAR® qualified “Cool Colors”. 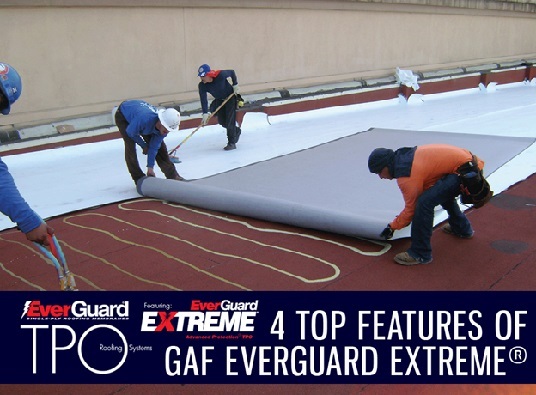 GAF EverGuard Extreme is at least four times stronger than taped EPDM. It is also puncture-resistant, even if the pressure is over 250 pounds. It is also dimensionally stable, as EPDM has a shrinkage rate of up to 2% after installation. That’s a significant shrinkage for large buildings. This shrinks up to 80% less than EPDM. 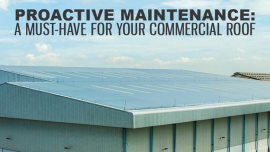 If you want to know more about what GAF EverGuard Extreme can do for your commercial building, call American Enviromental Service Company today at 1-(804) 585-3035 or use our form.